To make this list I tried to include wines and styles from around the world. Quality was of the utmost importance, but pricing and availability were factors as well. 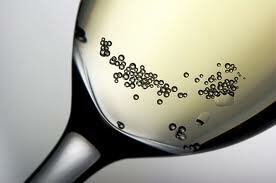 As we lift our glasses this holiday season, there are lots of great sparkling wines to fill them. No need to turn to industrial flavored wines. Some of these wines can be found for under $15. Others are well over $100. There are some wines that are so rare that their stratospheric pricing is based on scarceness and not the quality of the wine in the bottle. Although those wines may in fact be delicious, they are not included on this list. This list includes wines that are for drinking. 1. 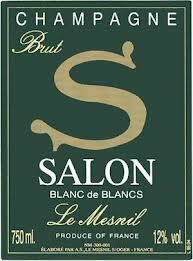 Salon Blanc de Blanc – My favorite sparkling wine. This is vintage Champagne made from only chardonnay grapes and only in the best years. From the Le Mesnil-sur-Oger vineyard. This wine can be drunk on release but really needs a decade or so to justify its lofty price and to reveal its magic. 2. 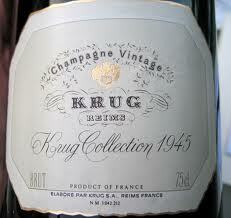 Krug Vintage – Vintage champagne produced only in the best vintages. This wine is always stunning. Not released until ten years after the vintage, it still needs some time to develop. This is a mineral driven wine of precision and breeding. Wow. 3. Louis Roderer Cristal – Supposedly first made for Tsar Alexander II of Russia in 1878, this is one of, if not the first, luxury cuvee. It has been released since 1945. It was the darling of the hip-hop and rap culture in the 1990s and early 2000s. Their Champagne of choice for the millennium. While it is no longer in vogue, it is still a great wine. The prices have come down since those lofty days. Still expensive, it is easy to find and is worth the price for an occasional splurge. 4. Moët & Chandon Dom Perignon – One of the world’s recognized symbols of luxury. The amazing thing is that millions of bottles of this wine are produced annually. Yet, it is consistent and great every time. 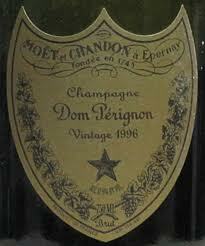 Dom Perignon was a monk who is sometimes falsely credited with inventing Champagne. While not true, the real Dom Perignon did advance how Champagne is made with his methods of blending and improvements to the cork. This wine is so ubiquitous in movies and television; everyone should try it at least once. 5. Pol Roger Champagne Cuvée Sir Winston Churchill Brut – Pol Roger was the favorite wine of Sir Winston Churchill. As a tribute to the man, the Pol Roger winery released this luxury cuvee beginning in the 1975 vintage. 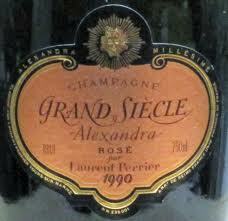 It is a vintage Champagne and only released in the best vintages. 6. Cédric Bouchard Champagne Inflorescence Blanc de Noirs Val Vilaine – Cedric Bouchard is one of the most exciting newer producers in Champagne today. There are four basic lines, with many cuvees in each line. These are wines that push the boundaries, and are fantastic. 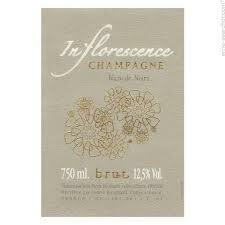 The Inflorescence is 100% Pinot Noir. I am sure the prices will creep up as people discover these wines, so now may be a great time to buy. 7. 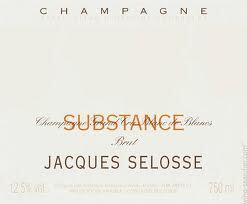 NV Jacques Selosse Extra Brut Blanc de Blancs Substance – This is a grower Champagne house, meaning they grow their own grapes. They have been in business since the 1950s, however, under Anselme Selosse, who took over in 1980, the quality has improved. Their wines are some of the most unique in Champagne and some of the best. The Substance is made in a Solera system similar to Sherry with the grapes going back to the 1980s. It has amazing depth. 8. 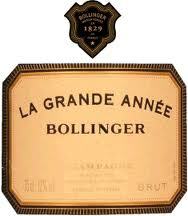 Bollinger Grande Annee – Made by this venerable house only in the best years. This is their best bottling (also made as a Rosé). About two-thirds Pinot Noir and one-third Chardonnay, this wine is built to last. Bottles from the 80s are still drinking well. Of course, Bollinger is the favorite of James Bond and this wine has appeared in at least three of those movies. 9. 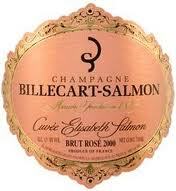 Billecart-Salmon Cuvee Elizabeth Salmon Rosé – The first Rosé on the list. This family run winery has been around since the early 1800’s. The Rosé has a beautiful elegance, from color to finish and everywhere in between. This is a vintage wine made only in the best vintages. It drinks well on release. Gorgeous. 10. 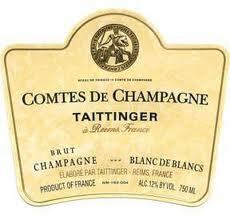 Taittinger Comtes de Champagne – This is a Blanc de Blancs or 100% Chardonnay. It comes in a distinctively shaped bottle and is only made in the best vintages. It has a bit of oak due to a small amount of time spent in new oak barrels. A wine that will last longer than many would think. 11. 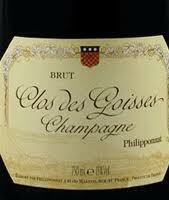 Philipponnat Clos des Goisses – This house has been producing Champagne since 1910. The Clos des Goisses vineyard was acquired in 1935. This is their best bottling. Originally mostly Chardonnay, this is now mostly Pinot Noir. This wine has great depth. It will need time to develop on release, but patience is rewarded. 12. 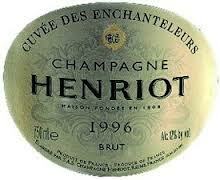 Champagne Henriot Cuvee des Enchanteleurs – This is Tete de Cuvee or finest vintage Champagne from Henriot. This blend is usually an equal mix of Chardonnay and Pinot Noir in the blend with perhaps the Chardonnay a bit more dominant. The name has to do with how the cellar workers had to stack oak barrels in the old days. 13. René Geoffroy Champagne Brut 1er Cru – This is not a Grand Cru, so why is it this high on the list? 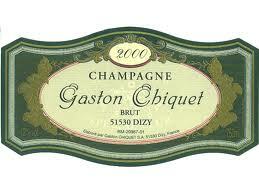 It is delicious Champagne that is available widely, for a very reasonable price. 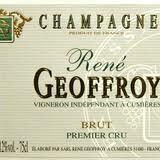 René Geoffroy was established in the 17th century and still make their wines in a very traditional manner. 14. 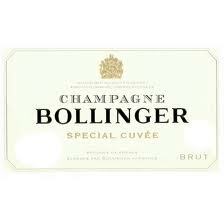 NV Bollinger Champagne Special Cuvée Brut – Another wine from this larger Champagne house. This non-vintage wine is very consistent from year to year. Its’ house style is of a slightly oxidized wine with green apples and a bit of toast. The use of some of the Reserve wine each year contributes to this consistency and quality. 15. Huët Vouvray Pétillant Brut – The first sparkling wine on the list not from Champagne. This is a personal favorite of mine, although it flies under the radar. Made from the Chenin Blanc grape, by perhaps the Loire valley’s premier producer of Vouvray, this is an exciting sparkling wine with very affordable pricing. Great for parties or elegant dinners. 16. NV Gruet Winery Brut – Would you believe the first American sparkling wine on the list comes from New Mexico? You bet. Founded by Frenchman, Gilbert Gruet, who already had experience producing wine in Champagne, this wine often gets dismissed because of its lack of pedigree. For under $20, it is impossible to find a better, more satisfying dry sparkling wine. 17. Pierre Peters Brut Cuvee Speciale les Chetillons – From a small parcel of vines known as les Chetillons, this is this top grower producer’s top vintage wines. It will last for 30 years from vintage date but also drinks well young. It is a wine with focus and precision. 18. Laurent-Perrier Grand Siecle Alexandra Rose – This was originally created as a surprise wedding gift for the eldest daughter of one of the owners of Laurent-Perrier, Bernard de Nonancourt. It is only made in special vintages, so far, fewer than ten. 19. 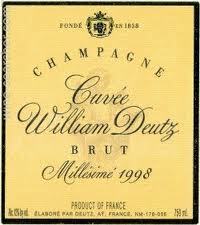 Deutz Cuvee William Deutz – This is a house that delivers a lot of value for the quality of their wines. This is their vintage dated wine. It is a tremendous wine and priced fairly. A bit over one half of the grapes are Pinot Noir. 20. 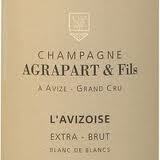 Agrapart & Fils Extra Brut Blanc de Blancs Grand Cru Venus – This house dates back to the end of the 19th century. They make a variety of different wines including four Grand Crus. Venus is actually the name of the plow horse who works the land (more gently than a tractor). Only made in the best vintage years. 21. Dom Ruinart Blanc de Blanc – Made from 100% Chardonnay. This is made as both a vintage and a non-vintage wine. Of course, the vintage is much more expensive, but both are great. In fact, the non-vintage is one of the better values. It can sometimes be found nearing the $50 price tag which, for a wine of this quality, is hard to beat. 22. 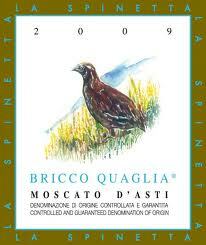 La Spinetta (Rivetti) Moscato d'Asti Bricco Quaglia – Some might look at this wine and wonder why it is even on the list. 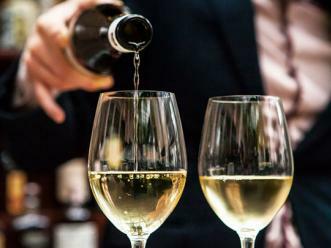 Moscato d’Asti’s have a reputation as cheap, sweet, fizzy plonk. Well, the first three might be valid here although the price is nearing $20 per bottle. But, this is not plonk. Every time we serve this, it disappears quickly. It is so tasty. At less than 5% abv, you can serve two. While it is traditionally a dessert wine, it makes a great aperitif or cocktail. 23. 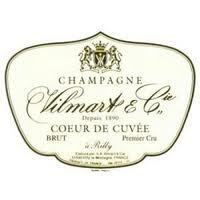 Vilmart et Cie Coeur de Cuvee – This is one of the top houses in all of Champagne. Founded in 1872, they have really ramped up quality in the last two decades and are currently utilizing organic viticulture. This is their top vintage wine and is made from 60% Chardonnay and 40% Pinot Noir. Truly an amazing wine. 24. Nicolas Feuillatte Cuvee Palmes d'Or – The luxury cuvee of the Feuillatte house. A very pretty bottle with glass dimples often called a “grenade”. This is only made in the best vintages and is delicious. It does need to be stored for a while after release to really get the full beauty of this wine. 25. 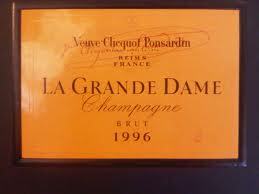 Veuve Clicquot La Grande Dame – The luxury Champagne from this ubiquitous house. Named after the “Widow” Clicquot who led this house after the death of her husband in the early part of the 19th century. A woman well ahead of her times. This wine amazes in consistency at such high production levels. Made only in the best years. 26. Ca del Bosco Franciacorta Brut Cuvee Annamaria Clementi Sparkling – Italy makes some great sparkling wines that can compete with the better wines of Champagne. Named after the owner’s mother, this may be the best of them all. This wine is 55% Chardonnay, 25% Pinot Blanc and 20% Pinot Nero (Noir). 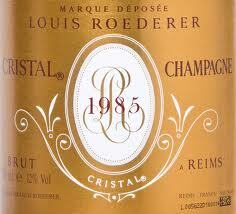 It is made the same way as the best Champagnes and then aged on its yeasts for over six years. Made in most vintages but does carry vintage dating. 27. Charles Heidsieck Champagne Blanc des Millénaires – This is a vintage dated wine made from 100% Chardonnay. It is made from five different vineyards: Oger, Mesnil-sur-Oger, Vertus, Cramant and Avize. Only made in the best vintages. 28. J. Lassalle Cuvee Angeline Brut – Founded during the difficult war year of 1942. This is their luxury cuvee and only made in the best years. Named after the granddaughter of the founder. 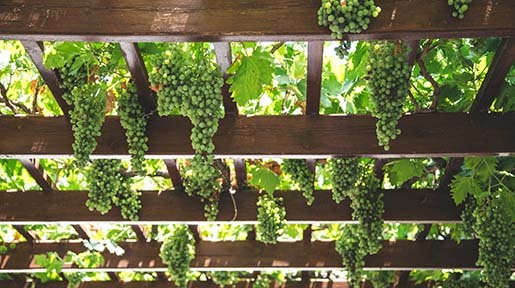 The wines are made very traditionally. It is 60% Pinot Noir and 40% Chardonnay. 29. 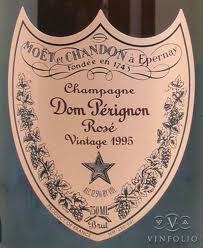 Moet et Chandon Dom Perignon Rosé – The Rosé version of the number 4 wine on this list. It is not made in quite the quantity but still in very large numbers. Only made in the best vintages, this is very expensive. It is a real treat though. 30. 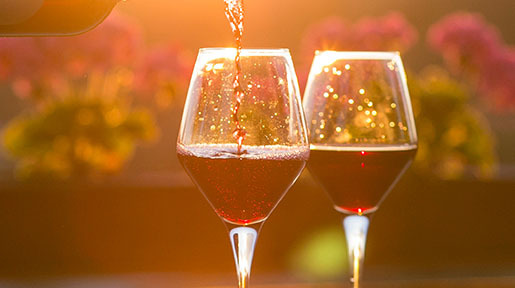 Iron Horse Brut Rosé – Iron Horse makes some of the best wines in California. This has a majority of Pinot Noir with 20% Chardonnay. This is vintage dated and made in most good years. Competitively priced, this wine is very food friendly and delicious. 31. Argyle Extended Tirage Brut – This blend of Chardonnay and Pinot Noir is from Oregon. This is a vintage wine, but a bit is held back and aged for seven additional years before releasing. The extended ageing brings out complexity while not sacrificing any of the crispness. While the regular Brut is very good, this version kicks it up a few notches. 32. Egly-Ouriet Pere et Fils Grand Cru – This is a non-vintage wine meaning that it is a combination of various vintages produced in a similar house style from year to year. This is a fantastic wine and certainly as good as or better than many vintage wines. 33. Gaston Chiquet Special Club – The family has a two hundred plus year history in champagne growing grapes, but it wasn’t until 1935 that this house started to produce its own wines. This is a vintage dated blend of Chardonnay, Pinot Meunier and Pinot Noir. Special Club is a designation for grower producers indicating this is their best wine. It must be approved by all of the members of the Club (other producers) as meeting their strict criteria. 34. 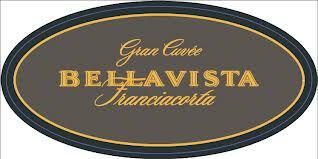 Bellavista Gran Cuvee – This is from Italy’s Franciacorta DOCG, one of the best sparkling wine regions in the world. Bellavista is one of the top producers of the region. The Gran Cuvee is a vintage dated sparkling wine made from Chardonnay, Pinot Bianco and a bit of Pinot Nero. It drinks well for a decade at least. 35. 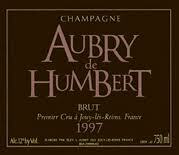 L. Aubry et Fils Aubry de Humbert – Another grower producer, the family has been growing grapes since the late 1700s. An equal blend of Chardonnay, Pinot Meunier and Pinot Noir. Humbert is the archbishop who laid the cornerstone of the cathedral Notre Dame de Reims (pictured on the label) in 1211. This is a vintage dated wine made on in the best vintages. 36. Gloria Ferrer Carneros Cuvee – Another of my favorite California sparkling wines. This is a vintage dated wine made in most vintages. It is 55% Pinot Noir and 45% Chardonnay. It comes in a very pretty and uniquely shaped bottle. This is food friendly and very fairly priced. 37. L. Mawby Cremant Classic – From Michigan. Yes, that’s right. Northern Michigan makes some very nice wines and Larry Mawby is right there making some of the best sparkling wines in the world. This is really unique. Made from 100% Vignoles grapes. He also makes a wine called Talisman that is more traditional. With great pricing, it is hard to find more value in sparkling wine. 38. Ferrari Giulio Ferrari Riserva del Fondatore – Another Italian wine from a great traditional producer – Ferrari. They are in the Trento DOC. 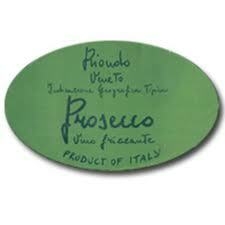 They have been making sparkling wine since the early 1900s. This is 100% Chardonnay with the grapes coming from high altitude vineyards. The wine is aged for a decade before being released, so it is beautiful from the get go. 39. Recaredo Brut de Brut Gran Reserva Brut Nature - This is a Cava from Spain. Made from 50% Xarel·lo, 38% Macabeu, and 12% Parellada grapes. I love Cavas for the great values they can provide. Some of them have amazing quality as well. This is a vintage dated wine. 40. 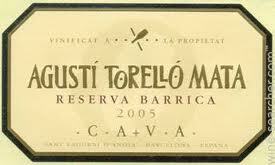 Agusti Torello Mata Reserva Barrica – This is another Cava. It is made from 100% Macabeo grapes. Vintage dated and produced in most vintages. Cava doesn’t get better than this or the prior wine. 41. 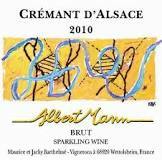 Albert Mann Cremant d'Alsace – From one of the top producers in Alsace, France. It is a blend of Pinot Blanc, Auxerrois, Pinot Gris and Riesling grapes. This is an attractively priced sparkling wine that is perfect for holiday parties. 42. Domaine des Baumard Cremant de Loire – There are actually a few wines with this label. The Carte Corail is a Rosé made from Cabernet Franc. The Carte Turquoise is a blend of Chenin Blanc and Cabernet Franc. They also make a Brut Rosé. These are very fairly priced wines that are great for parties or dinner at home. 43. 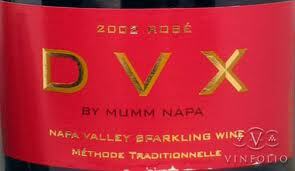 Mumm Napa DVX Rosé – From California. This is a vintage dated wine produced in most vintages. It is a bit pricey, but this is a delightful wine that pairs nicely with food. 44. Marc Hébrart Champagne Blanc de Blancs Brut 1er Cru – Another grower champagne made entirely from Chardonnay. This is a non-vintage wine that is affordable, consistent and very good. 45. 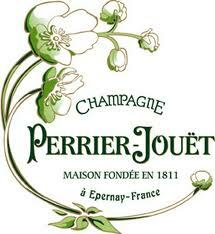 Perrier Jouet Belle Epoque – Almost everyone has seen this bottle hand painted with Japanese Anemone flowers. This is vintage dated (they also make a Rosé). A mostly 50/50 blend of Chardonnay and Pinot Noir, but there is a bit of Pinot Meunier added as well. Makes a lovely gift. 46. Riondo Prosecco Spago Nero – Any list of sparkling wines should have a Prosecco. These are inexpensive bubbles from the Veneto in the north of Italy. Drink them as a great aperitif or use them as a base for Mimosas. This is a non-vintage wine that is lower in alcohol. Under $15. 47. 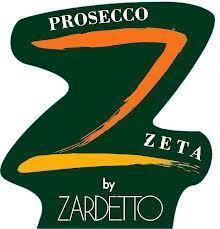 Zardetto Prosecco Zeta – Another Prosecco, this one is vintage dated and a bit more expensive (around $20). 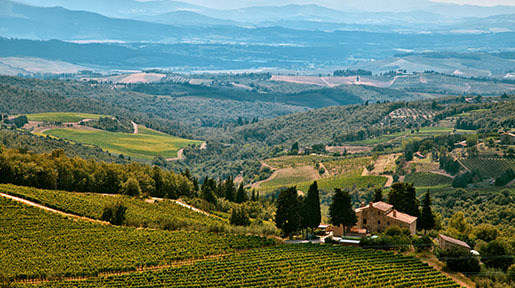 The wine is made from 100% Conegliano grapes in the DOC Prosecco, grown in the single vineyard of S. Pietro di Feletto. It has a bit more depth than most as well as a hint of sweetness. It should be drunk in the first few years from vintage. 48. Two Hands Moscato Brilliant Disguise – This is from down under. Australia makes a number of sparkling Shiraz wines which have not been to my tastes (you may enjoy them). This is made from the Muscat grape and sold in 500ml bottles. It makes a great dessert wine. It is lightly fizzy and low in alcohol. A fun wine made to be drunk immediately. 49. Pederzana Lambrusco Grasparossa – Lambrusco is a wine that suffers from a poor reputation. There are a lot of them made that are fizzy red alcoholic sodas. There are some, however, that are interesting and worth drinking. At their best, they are food friendly and easy to drink. This one has some depth to it. Slightly sweet and an interesting wine. Should be under $20. 50. (tie) Terres Dorées (Jean Paul Brun) FRV 100 Sparkling Gamay – This is a sparkling wine from Beaujolais made from the Gamay grape. 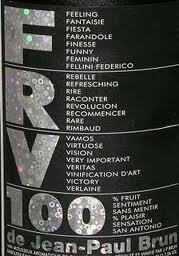 The name FRV 100 is a take-off on the French pronunciation (ef-ahr-veh-cent). This is a fun wine that is very nice. Slightly pink in color. Very food friendly. Should be drunk young. 51. (tie) Max Ferd. Richter Riesling Sekt Brut Mülheimer Sonnenlay– This is a German sparkling wine that carries a vintage dating. Made from Riesling grapes from one of the most prestigious vineyards in Germany. This is a refreshing wine that is food friendly and modestly priced. Made in the traditional method. So there you have it. A selection of sparkling wines from around the world. Did I miss any? I would love to hear your thoughts.